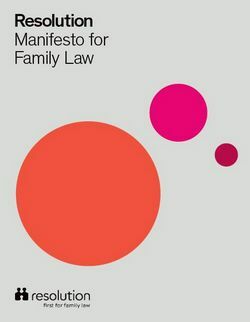 Resolution, which represents family justice professionals committed to the constructive resolution of family disputes, has called for sweeping changes to the laws surrounding divorce and separation with the launch of a new Manifesto for Family Law. “Divorce can be one of the most traumatic life events a family can go through, and we all have a responsibility to ensure it’s dealt with in a way that minimises conflict, encourages amicable solutions where possible, and – most importantly – puts the needs of children first. “The fact is that, despite the family justice system going through a period of huge transformation in recent years – not least with the devastating cuts to legal aid – the laws governing it are woefully outdated, inadequate and unfair to many people. Resolution’s Manifesto makes six key calls for change. Family Solicitor and Mediator Rebecca Kershaw is a long standing member of Resolution and the whole Family Department at Kenyon Son and Craddock supports their non-confrontational approach to family breakdown. Resolution, the organisation which represents family justice professionals committed to the constructive resolution of family disputes, has drawn up a new Parenting Charter, which sets out what children should be able to expect from their parents during and after their divorce. “It’s not necessarily the fact of divorce itself that affects children, but any conflict that surrounds it. The way the current law around divorce is set up encourages conflict. Essentially people who are divorcing are stuck in a pincer, between emotional hurt and the loss of a relationship on one side, and a legal system that encourages recrimination and blame on the other,” explains Jo Edwards, Chair of Resolution. The Parenting Charter aims to remind divorcing or separating parents that children are individuals with their own rights to information and a voice during the separation process. Resolution recently published the findings of a survey of young people whose parents had separated or divorced. The results show the extent of the impact of divorce conflict on children, with 14% of the young people surveyed saying that they started drinking alcohol, or drinking more alcohol than previously, as a result of their parents’ divorce. Arguably more concerning, 13% admitted to experimenting, or thinking about experimenting, with drugs as a result of their parents’ break-up. This emphasises how important it is to ensure that divorce is handled in a way that helps to mitigate the impact on children. Jo Edwards says: “Ultimately, a high conflict divorce often sees children caught up in adult disputes. This can have repercussions for children that will last for life”. Kenyon Son and Craddock’s Family Law department, will be supporting the use of the Charter in divorce cases at their Thorne and Goole offices. Please give us a call to discuss this further on 01405 813108 (Thorne) or 01405 720850 (Goole). The short answer is: yes. By making a will you ensure that your property and possessions are dealt with in accordance with your wishes and that your loved ones are provided for on your death. If you do not make a will the law intervenes and your estate will be distributed in accordance with the Statutory Rules of Intestacy. The rules are inflexible and it is likely that your estate would be distributed in a way that you would not choose. For example, if you are in a relationship, but not married or in a civil partnership, your partner will not be entitled to anything under the Statutory Rules of Intestacy. Even if you are married or in a civil partnership your surviving spouse or civil partner is not guaranteed to benefit from all of your estate. Despite this only three in ten people in the UK are said to have made a will. Make sure that you are one of them and contact Kenyon Son & Craddock to take the first step to making your Will. She went on to tell me that she had separated from her husband over a year ago because of his violence towards her and she very much wanted to be divorced, so she could finalise financial matters and move on with the rest of her life. She’d heard, though that Legal Aid wasn’t available any more and she couldn’t afford to pay privately for a divorce and financial settlement. She had tried to fill in the forms herself but because she was so upset about the way her marriage had ended she had given up. I was able to explain that Legal Aid is still available for victims of domestic abuse and that it sounded as though she would be eligible. I worked out that Christine was financially eligible for Legal Aid and then helped her to approach her GP to obtain the necessary evidence of domestic abuse. When that came back from the doctor I was able to sign her up for Legal Aid to apply for the divorce and then to sort out a financial settlement. I was able to reassure Christine that if her husband started to threaten her again then I would be able to apply for a non – molestation order to protect her. Legal Aid isn’t available for all cases any more (and you may have to repay your Legal Aid if you receive property or a lump sum) but Kenyon Son & Craddock assess every client to see if they may be eligible and even if they are not we will try and work out a package for them to make our costs affordable. Our aim is to make instructing a solicitor possible for as many people as we can. Anyone who has read a newspaper or switched on TV over the last few years could be forgiven for believing that, accident victims and, particularly their lawyers are responsible for most of the world’s ills. The so called “compensation culture” has been blamed for everything from the cancellation of school sports days to the current economic crisis. Accident victims are criticised for claiming the compensation they deserve and those that represent them are often labelled “ambulance chasers”. Whilst these extreme examples may attract the headlines the reality is usually very different. The media debate is often misinformed and, in any event, wholly misses the point. When someone has suffered injury through someone else’s fault or neglect then they should be entitled to be compensated for their loss. Why should the innocent victim be made to feel guilty about recovering their loss of earnings or other financial losses they have suffered as the result of another person’s fault? Surely it is the person who caused the accident that should bear the loss (usually through their insurers) rather than the innocent victim. 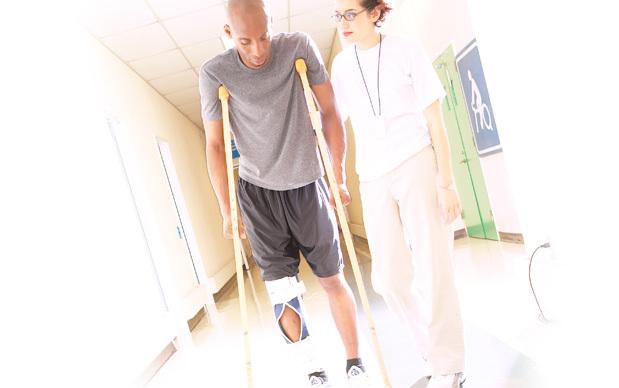 After all compensation is about putting the injured person, so far as money can, back in the position they would have been in if the accident had not occurred. It is not about the victim being able to make a gain or profit from the accident. All too often the rights of the injured individual are being overlooked in the ongoing media debate in favour of the large £multi-million insurance companies. This should never be allowed to happen. We believe that the innocent individual’s rights must always be put first and we are proud to represent those unfortunate enough to find themselves in that position. Anna and Andrew had a messy break-up. They’d been living together for four years and had a little girl, Amy, together who was two and a half. They both blamed each other for the split and were so angry that they were unable to make arrangements for Amy to see Andrew. When they came to their first mediation session with Kenyon Son & Craddock they could hardly bear to look at each other and the atmosphere was very tense. I started that first session encouraging Anna and Andrew to talk about their daughter, telling me what she was like, what she enjoyed doing. It became very clear that Amy was the most important person in both their lives and they wanted to be the very best parents they could and not to allow their break up to harm their daughter. Having established that common ground I started to ask them to look at making arrangements for Amy to spend time with both of them. It certainly wasn’t easy at first. Andrew and Anna didn’t really trust each other but by the end of the session they had agreed some arrangements for Amy to spend time with her dad. The second mediation session was much easier. Andrew and Anna had kept to the arrangements they had made and told me that Amy was really happy, especially when she saw her mum and dad beginning to talk to each other. Andrew and Anna left mediation with a full parenting plan they had drawn up for Amy and a much improved relationship between them as parents. 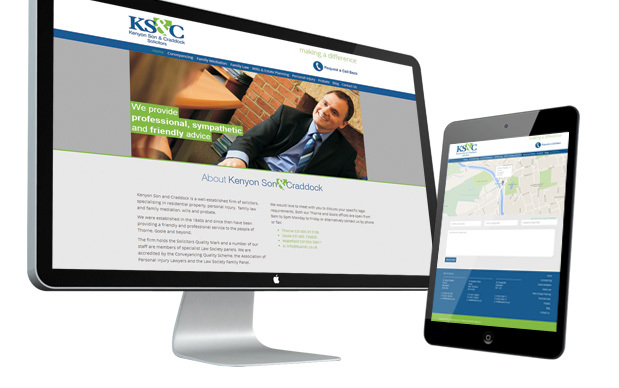 Kenyon Son & Craddock had never had a website when they approached Sugarcane with a remit of supporting them with their marketing activity. It was decided that Sugarcane look at the overall brand of Kenyon Son & Craddock as the existing brand identity was looking a little jaded and old fashioned. The Design agency created a contemporary logo and introduced more colour into the brand. This was used as the basis of the next stage, the website design and development. Sugarcane needed to get across the personality of Kenyon Son & Craddock through the imagery and content used, so a specific photo shoot was suggested to capture the ethos of the company. These images were used across the website coupled with a very approachable tone of voice to represent the essence of our company. Sugarcane also advised on a web and blog strategy to maximise the connectivity with our client base, existing and new. We are pleased with the outcome and look forward to our customers feedback on our new website.